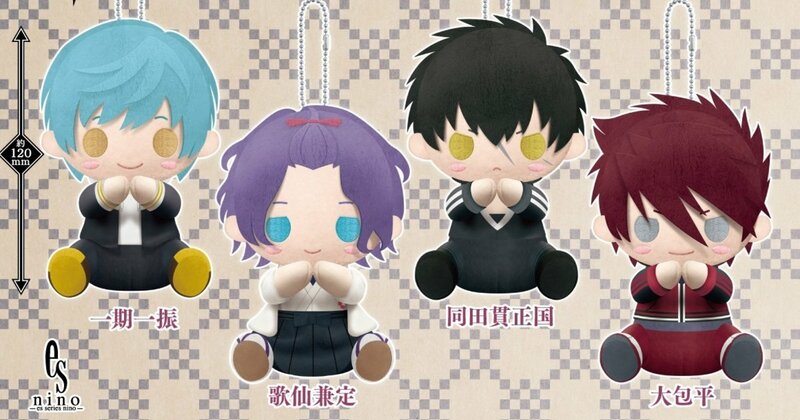 Keep Touken Danshi With You Thanks to Pitanui Plush Mascots! The lineup includes 4 versions: Ichigo Hitofuri, Kasen Kanesada, Doudanuki Masakuni, and Ookanehira. Each is around 12cm, a handy size for keeping around when you’re on the move! When you want to reposition or move them to another spot, simply pinch their back and their arms will open.